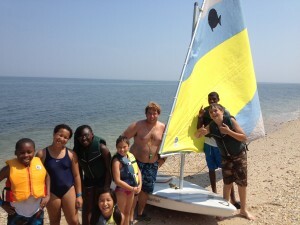 Looking for a Christian Camp on Long Island? 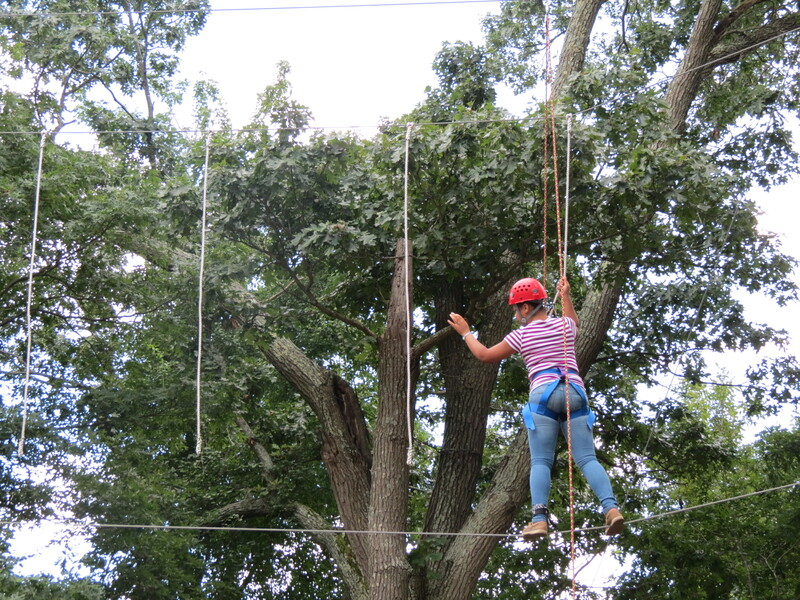 Camp DeWolfe is a Christian residential sleep-away and day camp on Long Island, New York. 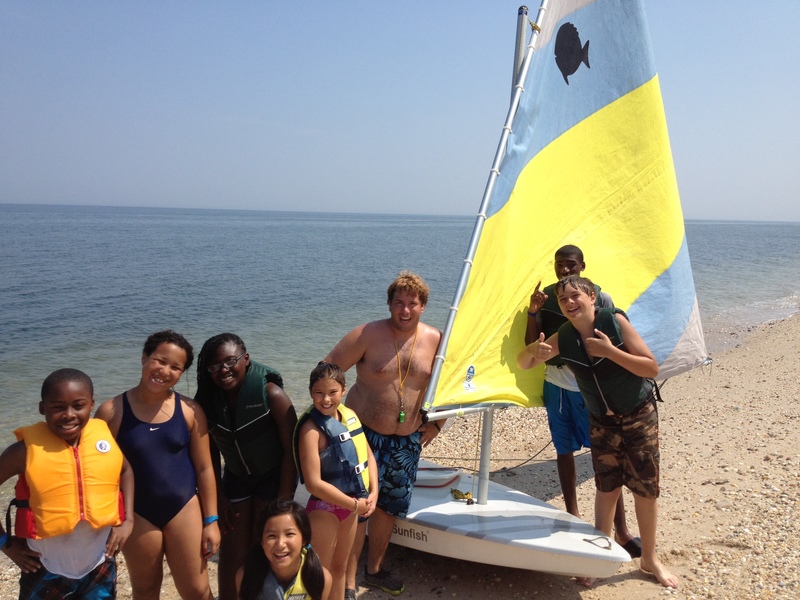 Camp DeWolfe provides an opportunity for youth to experience God and develop as leaders, in a safe community and enjoy a beach and outdoor natural setting. Offering one-week, two-week, three-week and six-week overnight sessions for all youth ages 7-17 and a Christian Day Camp for Monday- Friday each week, Camp DeWolfe provides a natural setting for them to engage in community and empower them to live out an outward and visible expression of the love and grace of Christ. Why summer camp? 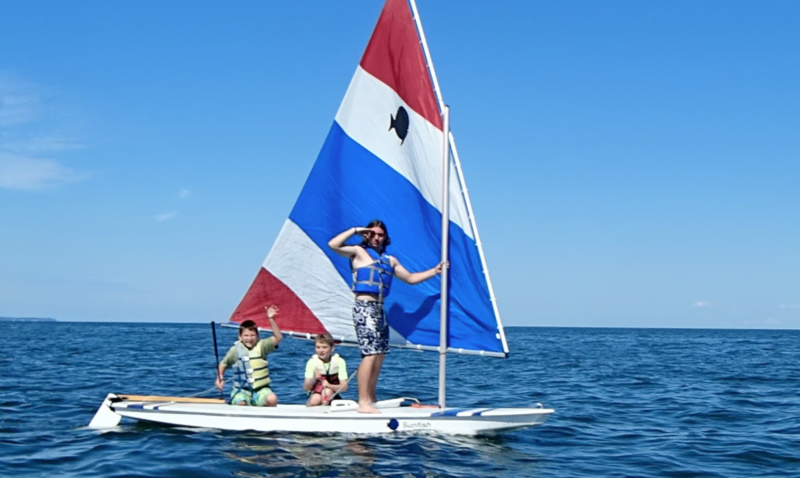 Camp DeWolfe is a place where young people are encouraged to be themselves, to grow in their Christ-like identity, to explore their God-given gifts and to enjoy making friends in a picturesque beach and waterfront setting. Who are camps licensed with? Camp DeWolfe is accredited by the American Camping Association and was re-accredited in summer 2018. Developed exclusively for the camp industry, this nationally recognized association focuses on program quality and health and safety issues, and requires camp to regularly submit every facet of its operation to an independent appraisal by camp experts. Camp DeWolfe is also accredited by the Christian Camp and Conference Association and part of the Episcopal Camps and Conference Centers association too. What will my child learn at summer camp? Explore nature – To use the outdoor space and provide outdoor programming so that there can be exploration and enjoyment of God in nature, God in others, and God in personal reflection. Engage community – To develop temporary community for learning and growth, within a positive, safe, honest and encouraging environment. Empower decision making – To facilitate learning in an outdoor learning environment, to encourage decision making that leads to group development and personal growth. Embrace challenge – To have the opportunity to experience different levels of challenge, to encourage a testing and expansion of personal comfort zones, so that a transfer of skills can be made to everyday living. Enjoy participation – To provide fun, interactive, and varied programs that will maximize learning and growth through experiential education. Experience reflection – To provide the time and space to be still, reflect on God’s word, listen to God, grow in faith and practice spiritual disciplines. Episcopal service – To create a safe environment where youth can practice serving others, the environment and the Lord, learning to love each other as Christ loves us. 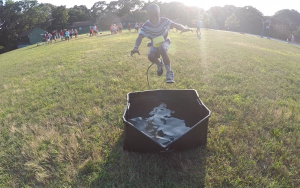 -View Camp DeWolfe’s parent feedback report. A great way to introduce your child to camp! A one week program designed for elementary campers with taster sessions in each activity area. Evening programs and Christian Formation sessions are tailored for new campers to make new friends and learn about God in a safe, fun and outdoor environment. Register today! Your camper not ready to stay overnight yet? Check out our Day Camp! 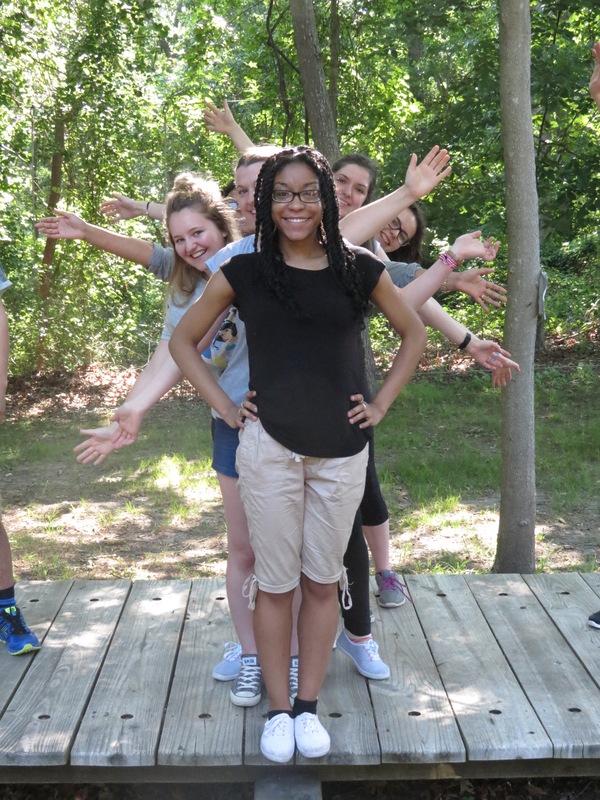 A new 6-day camp program designed specifically for high school youth. Campers participate in a variety of activity programming, while enjoying God’s love through community, nature, and adventure! Campers can participate in both the new teen Advance Camp and the Leadership in Training programs if desired. Register here! *Late Rate $1999 until June 15th OR $2999 for Year 2 LITs. What do you have at Camp DeWolfe? How clean is summer camp? Upgrades were made to St Luke’s Chapel, Father John Davis Hall and Kitchen, the Meeting Hall and the Swimming Pool in 2015. What activity areas are at summer camp? Swimming, Sailing, Canoeing, Kayaking, Paddle-boarding, Christian Formation, Archery, Arts and Crafts, Wilderness, Sports and Games, Climbing, Volleyball, Ga-Ga, Music, Rocketry, Adventure Challenge Course, Climbing, Biking, and more! Activity areas have a theme bible verse and goals throughout the sessions. 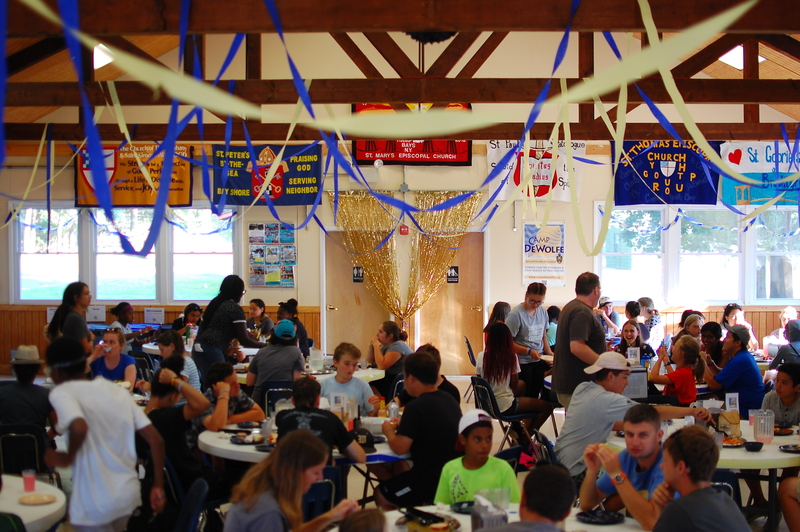 Activity areas have the same group of campers per activity period each day, to encourage relationship building within different temporary communities. Activities are in the outdoor setting and include natural resources/elements/materials. Campers are empowered to choose and sign up for specific activity areas and try programs that are challenging to their personal character building. What is a typical day at summer camp? Centered upon the Episcopal tradition, the daily morning celebrations and end of week Eucharist are primary worship opportunities for all campers and staff to participate in as a camp community. 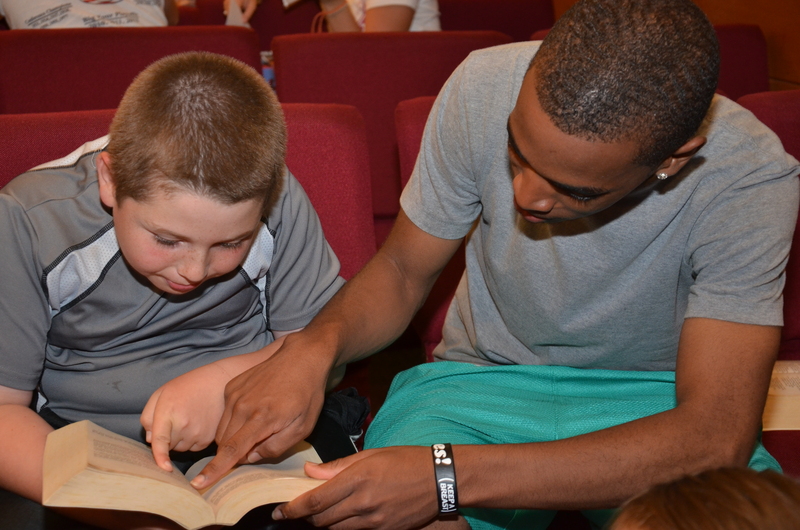 Clergy and trained staff create the Christian Formation program that includes daily cabin devotions and prayer time, Bible studies and engaging activities to encourage campers to experience God and develop an authentic and personal faith in Christ. Where will my child sleep at summer camp? Campers reside in traditional style cabins with bunk beds, accommodating 10 youth and 2 trained college-age counselors for supervision and guidance. Each cabin group prays and shares in devotions together daily in a decentralized model, participate in cabin night programming in the outdoors – beach/field/woodland, build deep cabin community, and are empowered to make decisions in delegation of cabin clean responsibilities. What will my child eat at summer camp? Three nutritious meals a day are served family-style in the Davis Dining Hall, to create a caring family community atmosphere. Fruits, salads and vegetables are included at meals. Snacks are provided in the evening times. Youth eat with their cabin group around tables, beginning with prayer, and providing a time to share how they have experienced God in their day. Some meals are in the outdoors/cookout style, to explore nature and embrace challenge. Counselors join with campers at meal tables, to be facilitators of group discussions and to encourage group development. What are the evening activities at summer camp? Programs are centered on a summer theme that focuses on Christ and aspects of how a follower of Christ lives out their faith in practical ways. Activities, games and events are planned to maximize the use of the outdoor space and natural facilities (beach/field/woodland). Campers are encouraged to participate within the larger camp community and also utilize their cabin groups, activity area groups and gender groups to make friends. Campers are encouraged to make decisions within activities while counselors facilitate and organize fun and exciting activities that everyone can participate in. Are there trained staff at summer camp? College-age Staff are trained for 2 weeks and become role models and mentors for the campers. Counselors engage with the youth and build safe and healthy relationships, sharing parts of their testimony of Christ and showing grace and a positive attitude in each activity/program/setting. 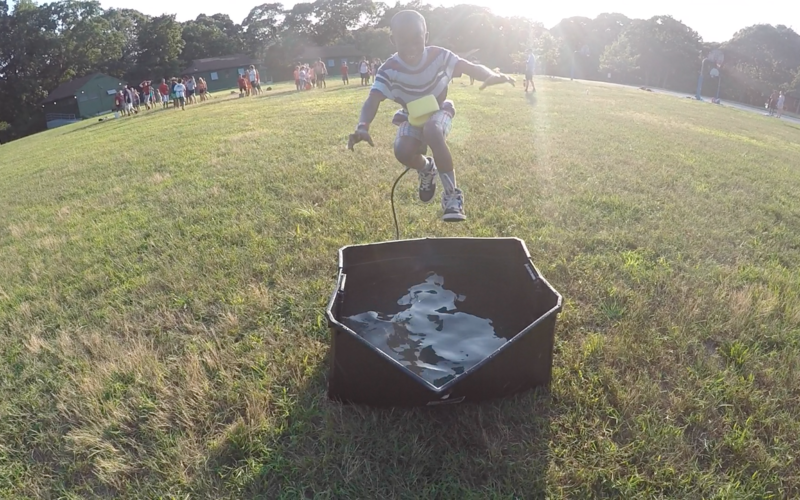 Counselors participate in activities and programs with the youth in the outdoor setting. They are an example of how to live out purposeful community with other staff and with campers, by actively and positively serving, caring and engaging with others around them. Counselors make decisions about programming and also facilitate activities in a way that campers can learn and be challenging in a safe and encouraging environment. Staff are trained and mentored so that their support and care encourages individual participation and service in each aspect of the camp. All Staff are background checked, interviewed, contracted and evaluated in line with a non-negotiable community covenant that outlines expectations and responsibilities for the period of employment. How can I find financial support for summer camp? Scholarship applications from the Episcopal Diocese of Long Island are available for all youth in need and the deadline is May 1st for up to 75%. Scholarships are available first come first serve. Campers must be registered for camp with completed registration form and at least 25% of camper fees that includes the $100 non-refundable deposit per camper per session, in advance of applying for scholarships. Camp DeWolfe does not award 100% financial aid. The Form is a PDF document which require the FREE Adobe Reader to access. Click here to download the FREE Adobe Reader. What are Sibling and Refer-a-Friend Discounts and how do they work? 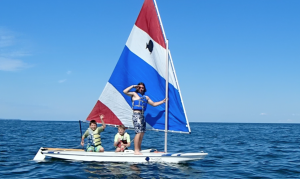 Registered camper families will receive a discount of $50 for each new “referred” camper to Camp DeWolfe who submits a completed registration form and payment. New camper families must list who referred them to Camp DeWolfe on the original registration from. Families who register multiple siblings will receive a discount totaling $50 per camper. The sibling discount is not automatically applied and must be requested by calling or emailing the camp office at 631-929-4325 or office@campdewolfe.org. Discounts will be applied or honored before May 1st.